The Upcyle Style Calendar Set bulletin board brings the cozy look and feel of rustic wood, familiar fabrics and playful textures to your calendar bulletin board. 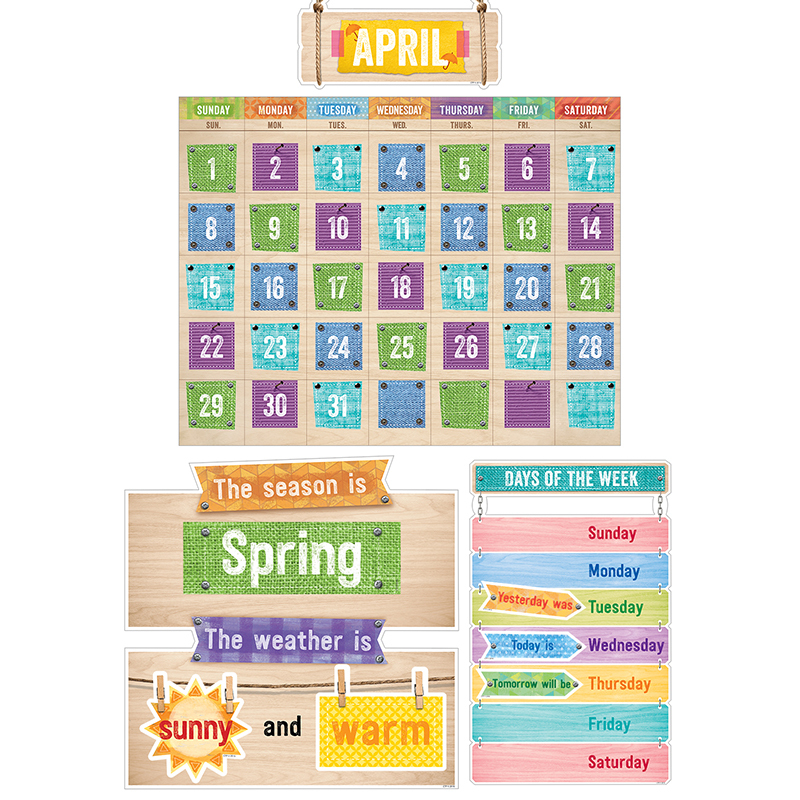 Cute calendar accents such as "wooden" clothespins and "rope" give this set a charming feel. The realistic looking mixed mediums of burlap, colored canvas, metal accents and distressed cardboard make this set feel modern but very warm and friendly. This 67-piece calendar set contains a "wood" calendar chart, 12 month headlines, 31 pre-numbered calendar days, and 4 blank calendar days. The set also includes a days-of-the-week chart, a seasons and weather chart, and coordinating labels.